Suitable for the catering industry or environments that deal in cooking for residents, our Baking Cases in White are a disposable and effective solution to mountains of washing up. Made from a durable, paper that has been approved for use with food, these small paper cups can be easily slotted into muffin or cupcake trays and used to create delicious baked goods. Alternatively, they each make ideal pots for distributing sweet treats out to your class, patients or residents. 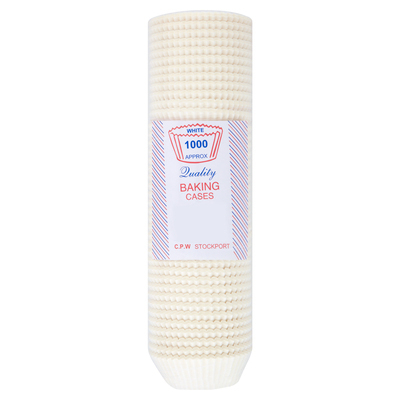 Supplied in an economical pack of 1000, these baking cases are stacked and require minimal storage space while also being an ideal bulk purchase for busy work places.